While performing an SEO campaign for this client, it became quickly apparent that his website needed a reboot. The old site was static HTML with very few proper tags. A conversion to WordPress with lovely HTML5 compliant code fixed that problem quite quickly. 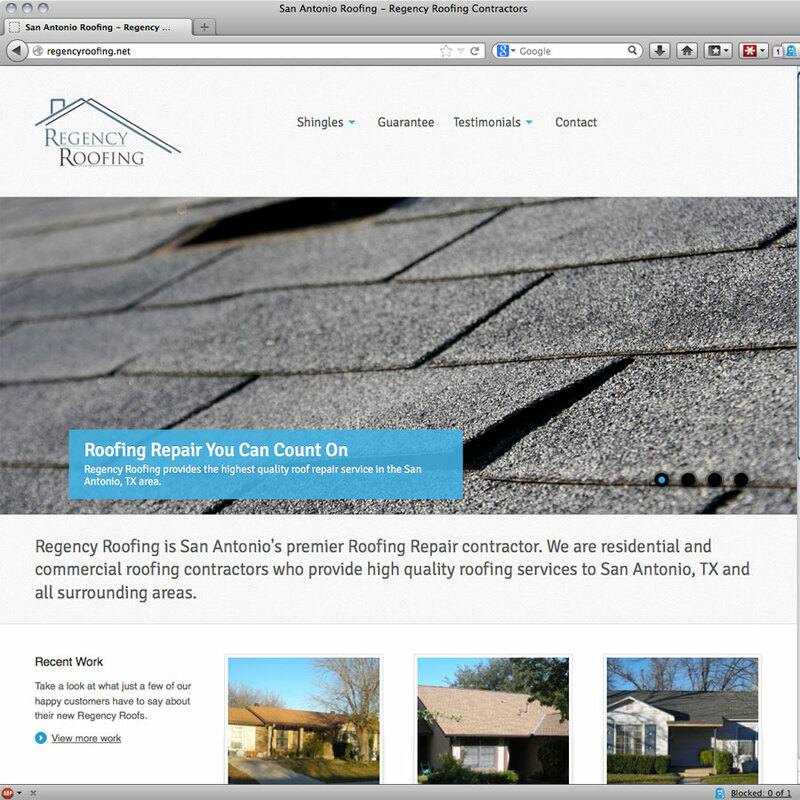 Regency Roofing is an ongoing project, as the site changes when the market changes. This assures that the client will reach as many potential customers as he possibly can. This project included listings in multiple local directories, including Google Places and Bing Local. This client reported a very nice increase in leads and sales as a result of the SEO work I performed. This site was built with the WooThemes framework.